If you have any questions about this process please contact help@assembly.education or 020 3897 2888 for support. Login to the Assembly platform, navigate to Connector and select Grant Access. 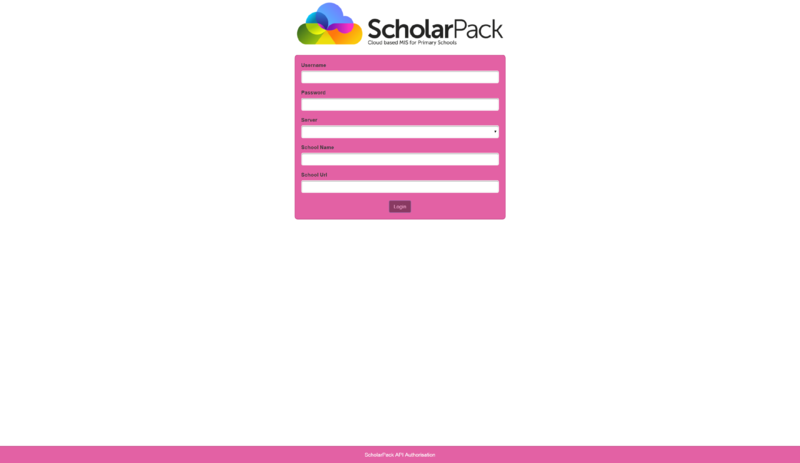 You will be re-directed to Scholarpack - login with your username, password and school url. Please review the Data Authorisation Request and select Confirm. 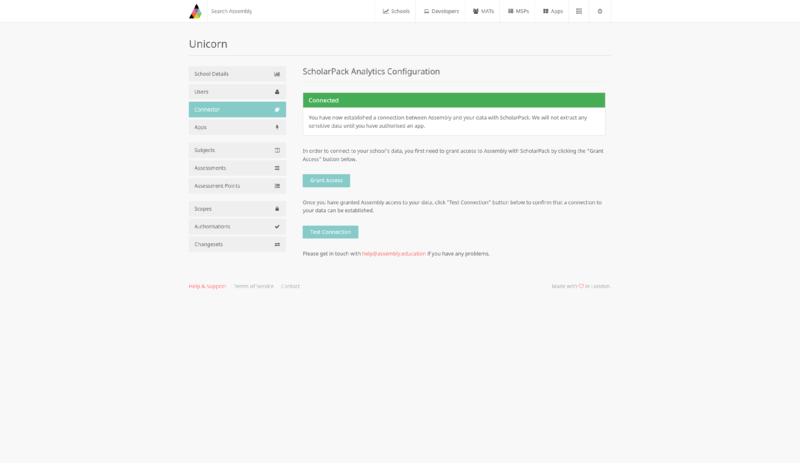 Note: No sensitive data will flow in to Assembly until you've authorised an app. For more information please reference the following article - controlling your access to your schools data. If you have successfully authorised Assembly, you will see a green Connected message verifying the connection. Click Test Connection to finish the process. If the message remains green your connection has been successful. 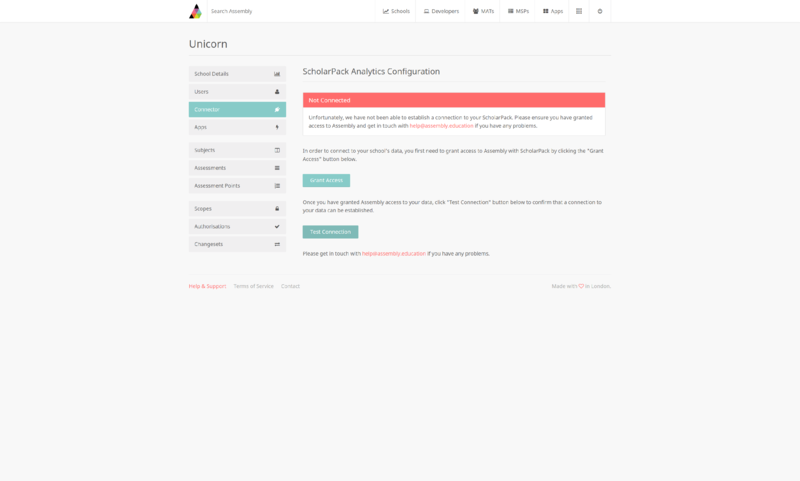 Allow 30 minutes for Assembly to sync with your Scholarpack Account. If it turns red please contact Assembly Support.